Nothing says Hawaii like a t-shirt featuring one of the best known brands in the world. 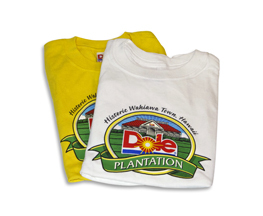 Large Dole sunburst logo on front of shirt. Colors – White, Yellow and Sports Grey. 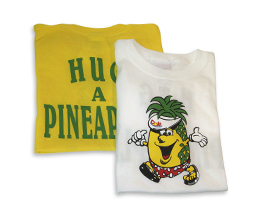 Adult sizes – Small, Medium, Large and Xlarge.